Every time are more the people who put their trust in one of the most legitimate and ancient practices in what prediction is referred; the Tarot readings. In a reading, a person can express all the doubts that are overwhelming and receive an answer that can really mean a difference in his life quality. It may seem hard to believe that in a simple deck of cards, there is the answer to very different issues, but it is like this. Symbology that accompanies the Arcana in the deck is a tool of really high value for Tarot readers, who never stop studying them to offer solutions of the best ones for the questions that people have. What to ask to the Tarot? As we have already said, they that we can ask to the Tarot are a lot: the Tarot of Love is one of the most popular variations, but it also can provide answers on health, family, travel, money, business … all the topics in which a person of this age may want to have solved. The key is to ask questions that are sincere and they do not include value judgments and the tarot reader can interpret with full transparency. If you are looking for a straight answer and that can really be useful, you need to raise your questions clearly. In fact, many experts advise to write down the questions so they can be sure that any of the questions is going to have an ambiguous or misleading formulation. 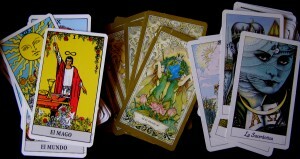 A good consultation is the key to the usefulness of the Tarot.